Pedigree pig names have three components. The first part is the herd name of the breeder, the second the bloodline (which is the same as the dam/mother or sire/father) and the third, the pig’s individual number. For example, you might have Myfarmname Dreamboy 96 (male), or Myfarmname Jacqueline 97 (female). 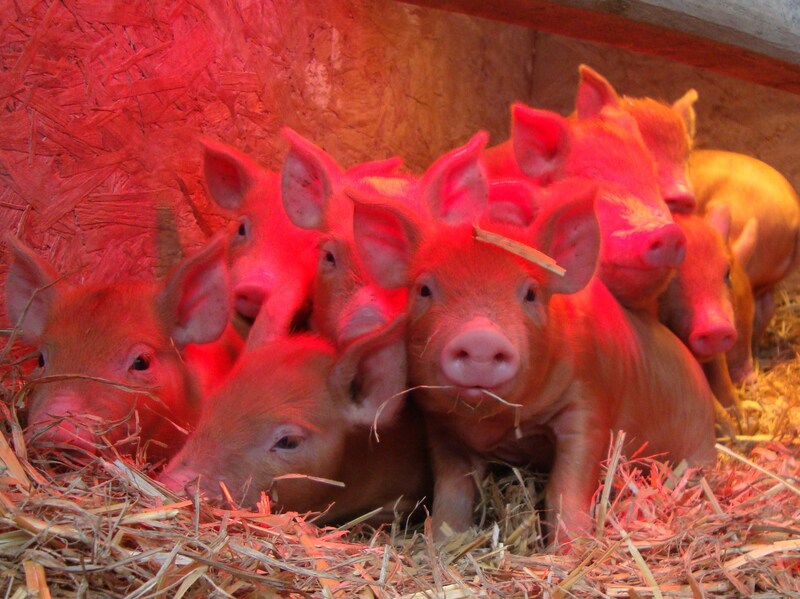 All pedigree pigs are given a particular bloodline name which is passed down to their offspring. 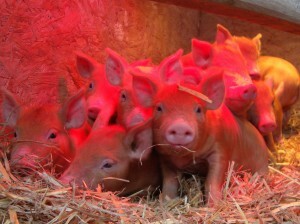 Female piglets inherit the dam’s bloodline and male piglets inherit the sire’s bloodline. The rarest bloodlines are currently the Maple female line and Dreamboy male line. To estimate the farrowing date for one of your pigs, use our downloadable GESTATION CHART. Look for the date your sow or gilt was served and check the corresponding box immediately below. Simple! In order to register piglet as pedigree, both parents must have been registered. If you want to register a litter, you must first be a member of the British Pig Association . There are two steps to registration. Piglets must first be birth notifed to the BPA within 10 weeks of birth. Then, if they meet the breed standard (the checklist of all the desirable and undesirable traits), they can be registered. Please check with the breed standard in our breed characteristics section to make sure that you know what should and should not be registered. If in doubt, contact one of the Tamworth breed representatives for advice. If you are buying stock, please be aware that only the breeder can register pigs as pedigree. Registered pigs should be identified by tattooing the Herd Designation Letters (HDL) plus the piglet’s individual number. Double-tagging is also an option, but pigs which are not tattooed will not be eligible to enter BPA shows. Contact details for breeders of pedigree Tamworths can be found on the breeders’ directory page.